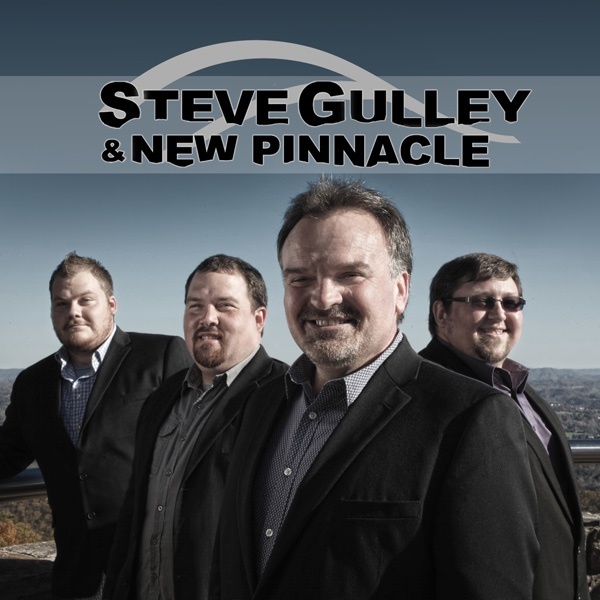 The highly anticipated debut album from Steve Gulley & New Pinnacle will be released on 31st March. Several months back the Bluegrass Situation called the debut album by Steve Gulley & New Pinnacle one of the most highly anticipated bluegrass albums for 2015. The first single from the album “Leaving Crazytown” written by award-winning songwriters Tim Stafford and Steve Gulley was released last September. The single has reached #1 on the Bluegrass Today Weekly AirPlay Chart five times which is a very rare occurrence and an incredible achievement for a new group noted by Terry Herd from Bluegrass Today. We couldn’t be happier about or more humbled by the overwhelming response to our debut single, “Leaving Crazytown”. That, coupled with the enthusiasm and anticipation shown for our new project has been so extremely gratifying and inspiring. It’s truly a special time for all the guys in New Pinnacle and we can’t wait for you to hear ALL the new music we’ve created. A big “Thank You” to our bluegrass family for all the support – Steve Gulley. Coming soon is the second video promo for the album featuring all the band members who discuss the development of the band and recording the album, as well as, some interesting back stories on several songs from the album. The Gulley family name enjoys a rich musical heritage that reaches across generations with strong roots in Bluegrass and Mountain Gospel music. It starts with long time radio personality Don Gulley who was a founding member of the Bluegrass group the Pinnacle Mountain Boys. Don’s son, Steve Gulley, has carried on the family tradition performing for many years with Doyle Lawson & Quicksilver, as a founding member of Bluegrass super groups Mountain Heart and Grasstowne, as a regular featured performer at Renfro Valley and with Steve’s longtime friend and colleague Dale Ann Bradley. Steve Gulley & New Pinnacle includes; Steve Gulley (guitar, vocals), Bryan Turner (bass, vocals), Gary Robinson, Jr. (mandolin) and Matthew Cruby (banjo, vocals).Steve Gulley certainly does not need any introduction to the Bluegrass community with accomplishments that include16 years as a featured performer, staff musician, music director, studio manager and producer at Renfro Valley, KY. From 1994-96 Steve was a member of Doyle Lawson & Quicksilver and a founding member of Mountain Heart (’98 – ’06), Grasstowne (’06 – ’11) and with long time friend Dale Ann Bradley through 2014. Steve is a winner of 4 IBMA Awards including Co-writer of the 2008 Song Of The Year, “Through The Window Of A Train”, by Blue Highway and SPBGMA Multi award winner including 2008 Album Of The Year, “The Road Headin’ Home”, by Grasstowne. In addition, Steve has produced many albums at his Curve Recording studio in Cumberland Gap, TN, including the Dove nominated album “Healed” for Locust Ridge, the critically acclaimed Civil War album project “God Didn’t Choose Sides”, and the Christmas CD/DVD and broadcast of “Christmas The Mountain Way”, which aired on RFD-TV’s FamilyNet and BlueHighways TV networks. Steve has put together an impressive group of musicians to form New Pinnacle pulling some of the top talent in his Tennessee / Kentucky / Virginia border state community that he has called his home all his life. Bryan Turner is a super talented musician with a strong pedigree in bluegrass, country and gospel music. His family contains many well-respected musicians including his dad, Bill, and his late uncle, Buster Turner, who wrote and performed so many wonderful songs that have been recorded by some of bluegrass and gospel music’s most respected artists. However, Bryan doesn’t stand on his family name alone. He has carved his own musical path filled with respect and accomplishments. He has performed and traveled with the groups Cumberland Gap Connection, Pine Mountain Railroad and The Dale Ann Bradley Band and worked with many other great names in the bluegrass world. Besides being a fine instrumentalist and vocalist, Bryan is also a great studio engineer and technician. He is co-owner, along with Steve Gulley and Mark Laws, of The Curve Recording Studio and has his name on a great number of nationally acclaimed recordings that have been created there. A native of New Tazewell, TN, Bryan plays bass and sings lead and harmony vocals in the band and is a welcome and valuable asset to New Pinnacle. Gary Robinson, Jr. is a spectacular young multi- instrumentalist who hails from Lee County in the beautiful mountains of southwestern Virginia near the Cumberland Gap National Park where so much great bluegrass and old – time roots music has originated. Gary carries the banner of that music proudly and it shows in everything he does. Although only in his early twenties, Gary boasts a long tenure in the world of bluegrass music. He started playing guitar at age 8 and mandolin when he was only 9 years old. As his love for the music and his talent grew, he later made his way to the stages of Renfro Valley as part of its Young Country Showcase where he was exposed to a larger audience. Not long after, he joined the band Cumberland Gap Connection where he remained for several years, he then became a member of the hard driving, cutting edge bluegrass band, Cumberland River until 2014. Gary plays mandolin in New Pinnacle, but is also accomplished on several other instruments including guitar and banjo. Matthew Cruby resides in the small town of Fort Blackmore, Virginia with his wife, Melinda, and their daughter, Matalie. Matt was introduced to bluegrass music at a young age and it has remained a big part of his life ever since. He began playing the guitar when he was only 5 years old. Then, at age 10, he took an interest in playing the banjo and soon became incredibly well versed on that instrument as well. Over the years since those early days, he has become well-known in bluegrass circles for his impeccable musicianship as well as his passion for the music. Matt has performed and toured with the groups Appalachian Trail and Dave Adkins and Republik Steele. He plays banjo and sings harmony vocals with New Pinnacle.